Jovees Anti-Acne Pimple Cream is the result of an extensive research based on naturotherapy to help control and cure acne. This effective formula contains neem, long peeper, red sandalwood along with precious herbal extracts which help clear acneand prevent future breakout. This cream will help you achieve a clear complexion. Method of use: Clean face preferably with Jovees Cleansing Cream & pat dry with soul towel. 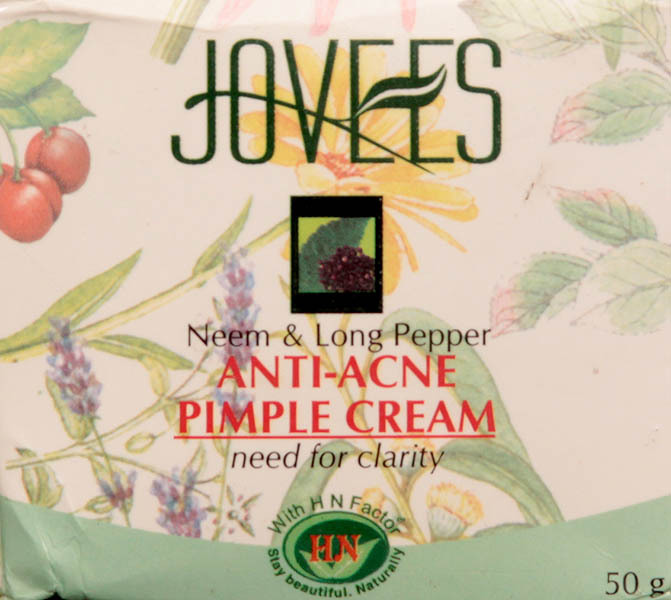 Apply Jovees Anti-Acne Pimple Cream with finger tips & leave on. Use daily at bed time. Active Ingredients: Neem oil, Long Pepper, Tea tree, Red Sandalwood, Clove oil & Bearberry. For oily, sensitive & acne prone skin.